Sweet sweet KayCee. She is so unique – she has always marched to her own drummer, and that is probably my favorite thing about her. She knows herself and embraces her own style. KayCee is graduating in June, and then she’s planning on heading to the Seattle area for school. I know she will be successful, and she is going to go far! 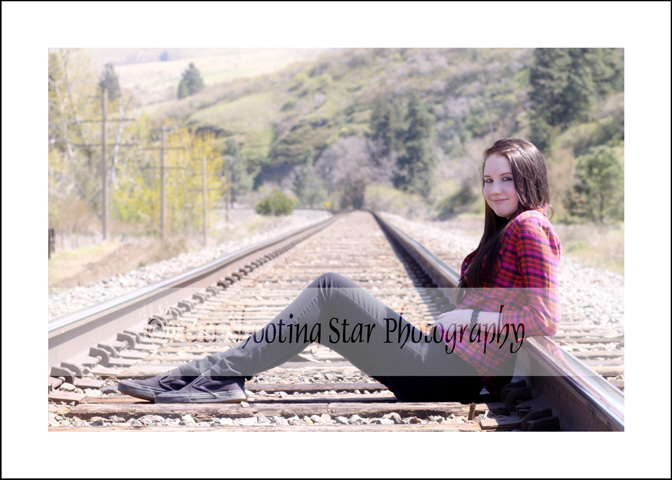 When I took Janie’s senior pictures in February, KayCee went, too, and helped me. This time, Janie went with KayCee and me, and the girls wanted some pictures together. The picture near the tree is my interpretation of a picture KayCee’s mom has of the girls from earlier in their school days.